Modifying anything in the preconfigured setup of Windows processes is always a game with unpredictable consequences. Lots of computer users have been reporting an issue recently where a process named csrss.exe is duplicated across the system. This oddity is typically coupled with OS stability problems. Read this guide to learn what kind of a predicament this is and how to sort things out. What is the csrss.exe trojan? It makes sense emphasizing from the get-go that the genuine csrss.exe is the name of a critical Windows process that’s harmless. It stands for Client/Server Runtime Subsystem and denotes a user-mode component of the Win32 subsystem. Its objective is to enable the use of console windows, manage threads and maintain some other regular functionalities of the operating system. Now, the shady facet of this matter is that cybercriminals may use csrss.exe as the name of different perpetrating programs, such as rootkits, ransomware, Trojans and the like. The motivation for doing so is to make sure the culprit flies under the radar of antimalware solutions. Indeed, the average security suite may fail to flag a process that looks identical to an important Windows executable as harmful and block it. In the upshot of such stealth tactics, a user whose machine got infected with the affiliated malicious code might see multiple instances of csrss.exe binary on their PC. This quandary tends to be accompanied by serious malfunctions, including a considerable system slowdown, BSOD (blue screen of death) issues and error popups appearing haphazardly. 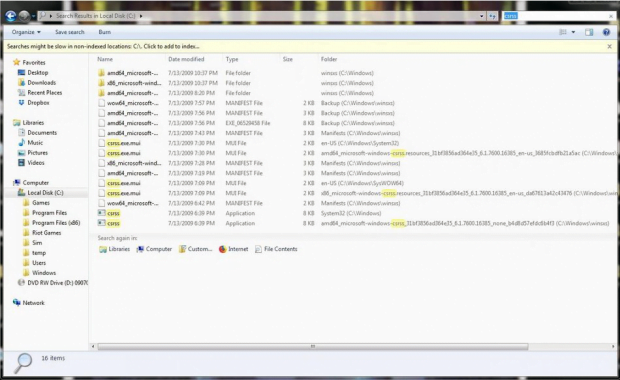 Meanwhile, several processes named csrss.exe or csrss.exe.mui will show up in Task Manager and run concurrently. Not only does this multiplication consume extra CPU resources, but it’s also a red flag signaling the presence of persistent malware on board. One of the easiest ways to tell the rogue csrss.exe file from the legitimate one is that the latter resides in C:\Windows\System32 directory. The unwelcome copy, quite frequently having an additional .mui extension, is usually located in C:\Users\[username]\AppData folder. Anyway, any copy that’s not under System32 is most likely an impostor that doesn’t belong on the PC. What’s the possible damage? It can be anything, ranging from the harvesting of personally identifiable information – all the way to a ransomware scenario where the infection encrypts all valuable data and holds it for ransom. Therefore, if you suspect the csrss.exe / csrss.exe.mui process to be the culprit wreaking havoc with your desktop computer or laptop, be sure to follow the tips below in order to accurately identify the baddie and get rid of it. The extermination of the csrss.exe / csrss.exe.mui virus can be efficiently accomplished with reliable security software. Sticking to the automatic cleanup technique ensures that all components of the infection get thoroughly wiped out from your system. 2. The scan will come up with a list of detected items. Click Fix Threats to get the adware removed from your system. Completing this phase of the cleanup process is most likely to lead to complete eradication of the infection, so you should now be good to go. No ratings yet.